Do you ever find that you can end up becoming more familiar with the happenings in your vacationing city than you do in your hometown? That is not to say I don’t have my favorite spots I frequent here in So Cal. Yet, some things as I discovered while in New York City last October, I have way more knowledge of there than I do here in Los Angeles. Overall, I am gluten-free. Meaning, I do not eat food containing wheat as pretty much all of it has a protein paste in it called gluten. I have learned the hard way my stomach just does not like it (I have been checked for Celiac and the results were negative. But, the doctor suspected an intolerance to keep an eye on). This brings me to where I CAN find gluten-free pancakes, sushi, pizza and even a grilled cheese….New York City. 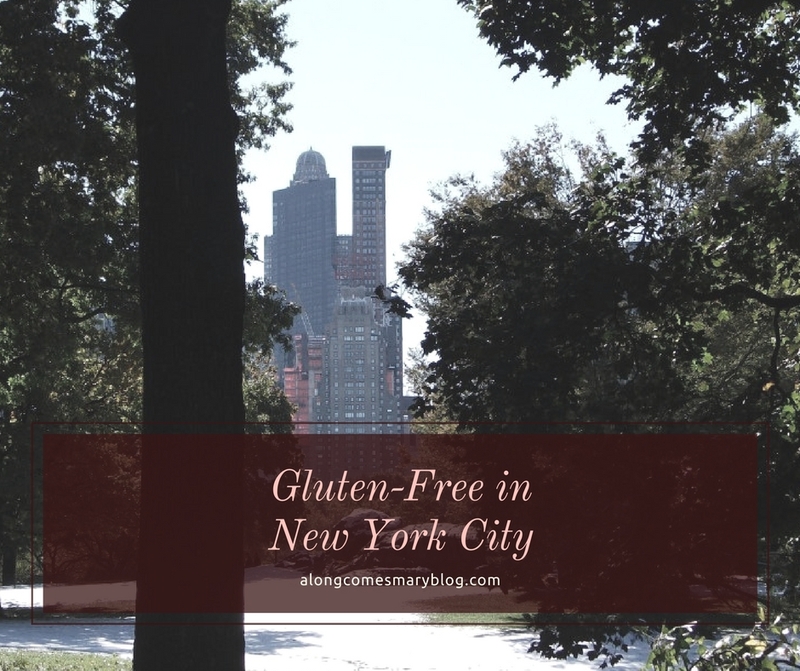 Little did I know when I arrived in the Big Apple for a 10 day birthday vacation last fall that I was falling into a gluten-free-gasm of options! It even happened by accident, I took a walk through Central Park Upper East with the conclusion being in the park’s Upper West End. I stumbled upon an adorable little gluten-free shop of food. I chatted with the owner, who suffers from Celiac disease. 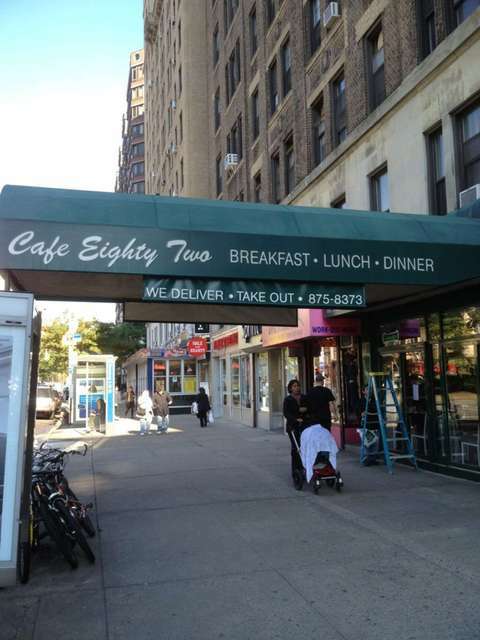 She gave me a print out of gluten-free friendly eateries in the city….one was just a few blocks from the store and called Cafe Eighty Two. She pointed to their name as if she were about to tell me the greatest secret ever. Which she sort of did. “They make gluten-free pancakes” she said as her eyes got wider. I am sure mine did at that time, too. I headed right over…followed by three or four more visits while on the trip. They seriously had the best variety of gluten-free food I have seen yet. Pancakes, wheat-free bun hamburgers, hot dogs, grilled cheese, pasta. I had the pancakes on every visit. Not only were they excellent, but so was the entire staff, who even knew my order by the 3rd visit! Then next up, we spent a beautiful Sunday in Brooklyn and at a vegan bar that featured many bakers hosting vending booths with all their sinfully yummy goodies. I bought…a lot. So much, I do not even recall what all they were…I know there was cornbread (again) and a pumpkin pie slice with a great crust. And, of course, there was pizza. On my previous trek in the Spring of 2010, I had an excellent pie in a Jewish district that I could not find last time. It was called Milk and Honey. Unlike a lot of gluten-free pizza that is very thin and chewy, theirs tasted like the ‘real’ thing. Unlike Slice Pizza, also in Union Square. The staff couldn’t have been nicer, even upgrading my plain cheese order to more a elaborate with veggies. The Red Bridge beer was great, too. But, the pizza? Very bland, and (you guessed it) that dreaded overly thin crust. Thanks for the GF in NYC tips. I’m heading that way in May and will be looking for places to eat. Also, I understand the priciness of GF stuff…I do almost all my own baking now so I can keep the cost down and can control fats and sugars. Thanks. I’ll be staying in the upper West Side but going in all different directions with my grandson…his first visit so a lot of the usual places.